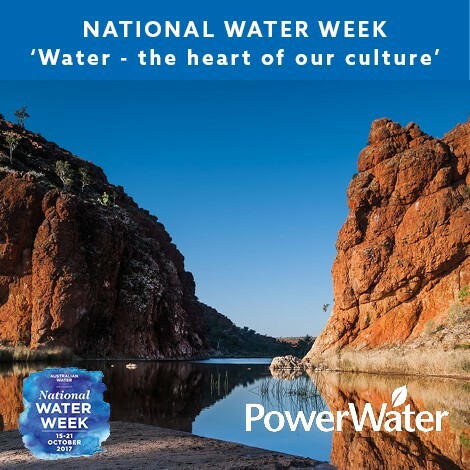 Power and Water celebrate National Water Week from 15 - 21 October with a series of educational activities being held across the Territory in alignment with the 2017 theme, ‘Water, the heart of our culture’. Power and Water is working closely with the Department of Education to deliver the Great NT Water Story in Central Australian schools. The aim of this unique learning experience is to highlight to students the importance of our most vital natural resource and inspire them to save water for future generations. Power and Water is also partnering with the Arid Lands Environment Centre (ALEC) to host a tour of the Alice Springs Wastewater Treatment Plant on Saturday 21 October. Visitors will have the opportunity to see what happens to waste water once it’s flushed down the toilet or sink. For more information, please contact Rachel.oleary@alec.org.au. Cail Rayment from Alice Springs will present at the Water in the Bush event being held in Darwin on Friday 13 October. Cail was awarded the National Young Water Professional of the Year 2017 and will discuss how Power and Water has successfully helped to reduce water demand in remote communities.